It was announced today that Take-Two and Gearbox Software will be releasing Borderlands 3 September 13th on the Xbox One, PS4, and PC. This confirms the date that was first leaked by a now deleted tweet from the official Borderlands 3 twitter account. 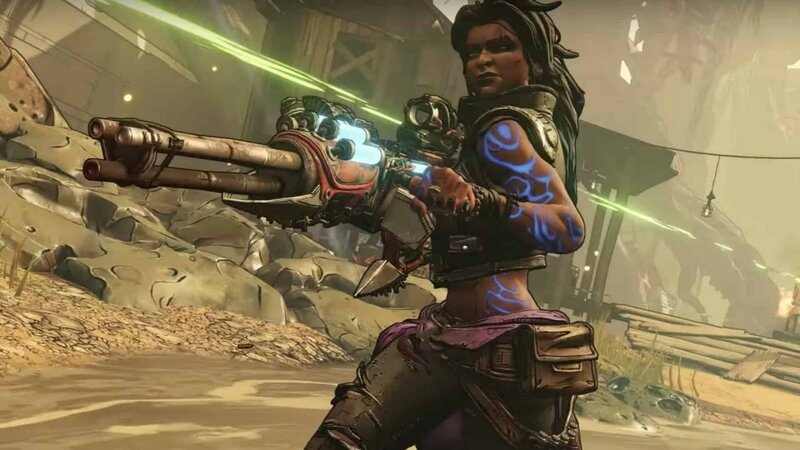 It was also confirmed that Borderlands 3 will be an Epic Store exclusive until April 2020, where it will then be unleashed on other PC storefronts. This time all vault hunters are tasked with stopping the Calypso Twins from bringing together clans of bandits and obtaining “the galaxy’s ultimate power.” Much like past installments, you can play online or via local co-op, and can team up with anyone no matter what the level difference may be. The trailer also gave a glimpse of the new vault hunters you can jump into the game with: Moze the Gunner, Amara the Siren, FL4K the Beastmaster and Zane the Operative. There will be a more in-depth live stream for Borderlands 3 on May 1st, that will feature a longer look at the game play people can expect when it launches. Not to be left out of the collectors edition world, Borderlands 3 will feature a range of editions you can purchase that span from around 60, all the way up to 250 for the collectors edition, that will include all DLC, 10 character figurines, and more. All of the DLC included in the season pass will be available by September 2020, ensuring there will be at least a full year of game play for any eager vault hunters.